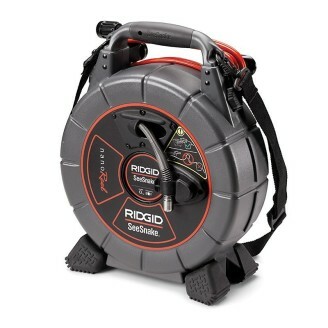 RIDGID SeeSnake® Inspection Camera Systems are designed for inspection of pipes up to 300mm (SeeSnake®). 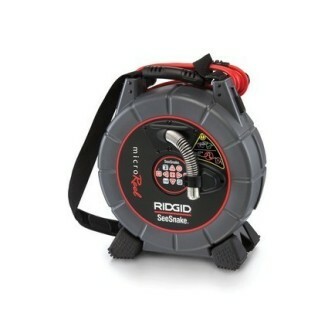 They offer unmatched reliability and performance in a hardwearing and rugged package and are ideal for a wide range of inspection needs including drain lines, chimneys, air conditioning ducts or any other restricted access areas. 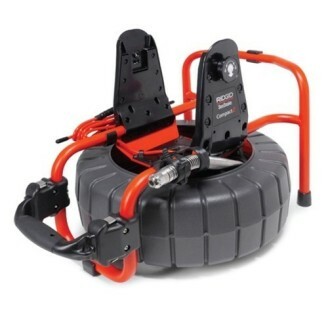 RIDGID SeeSnake video inspection systems offer unmatched reliability and performance in a hardwearing and rugged package. 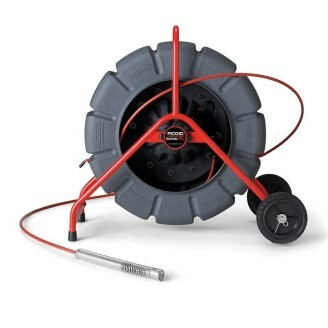 The wide pipe diameter capacity range makes this system ideal for a wide range of inspection needs including drain lines, chimneys, air conditioning ducts or any other restricted access areas. 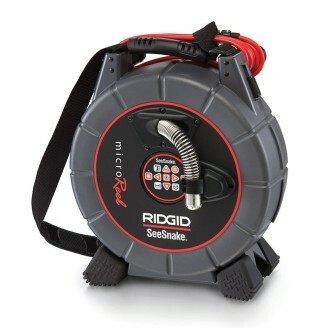 RIDGID SeeSnake® microDrain™ Video Inspection System from Ridgid provides small size and manoeuvrability and is ideal for inspections with tight turns such as toilet traps and P-traps, and passes multiple 90° bends in most 1.5" (40 mm) drain lines. The D65S System comes with a 20m cable and Sonde, and the micro CA-350 Inspection Camera as standard. The SeeSnake microReel Video Inspection System from Ridgid provides small size and manoeuvrability for small diameter and tight-turn radius inspections. 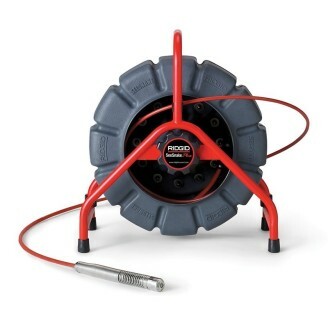 It features a stiffer push cable than microDrain to enable line inspections up to 100ft (30m) and passes 90° bends in most 50mm drain lines. The SeeSnake nanoReel Industrial Inspection Camera from Ridgid opens up new possibilities in long run small diameter inspection needs. Applications where only bore scopes could reach can now be inspected using the nanoReel. Boiler tubes, supply lines, sprinkler systems, and a wide array of specialty applications can all be inspected using the new nanoReel. 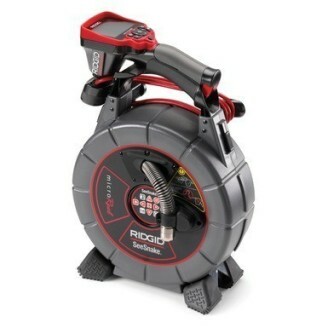 Big performance in a compact, durable package. Designed to inspect lines from 1.5" to 6" (3.8cm to 15.2cm), the Compact2 includes a 100' (30m) push cable, 1" (2.5cm) self-levelling camera head and sonde. 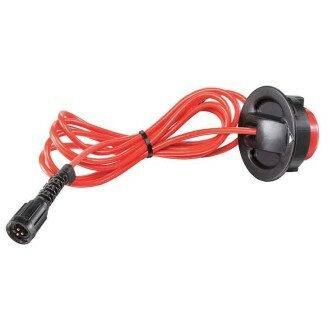 Interconnect cable for the CA-350 Monitor. 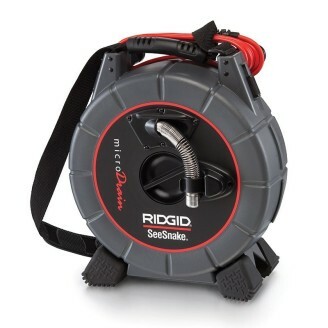 The SeeSnake® microReel Camera System allows you to perform inspections quicker and easier than ever. 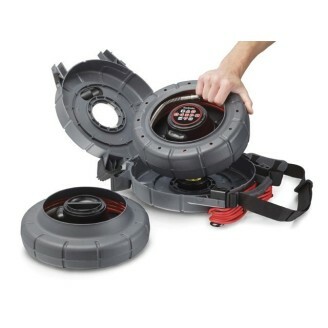 The complete system takes up less than half the space of our popular SeeSnake Compact System while still allowing you to inspect lines up to 100 feet.